Click here for the MMS Information Page! Monmouth Middle School phone lines are temporarily down - if you need us, please contact Monmouth Academy at 933-4416. Parents and families: you’re welcome to join us to walk or run with your student in the Mini-Dempsey tomorrow! If you didn’t check the box on your student’s permission slip give us a call to let us know you’re coming and join us! If you haven’t returned a mini-Dempsey Challenge field trip permission slip for Friday, your student should have a new one with them today! Volunteers to run, walk, or help us with the route are welcome! A reminder that on MEA testing days, if your student begins a test, he or she must finish it during the course of that one day. That means if a student is dismissed for the day while taking the test he or she will be unable to complete it at a later time. If your child will be dismissed, please let us know so we do not start his or her test. We will be testing for the next two weeks with the exception of Fridays. Thank you! On Friday, March 8th, students in 6th and 7th grade will be taking a short survey regarding World Language and Music course selections for next year. This will be done online. Their responses will help us determine course placements for next year. Please communicate with your child about his or her choices. FMI contact the MMS office at 933-9002. 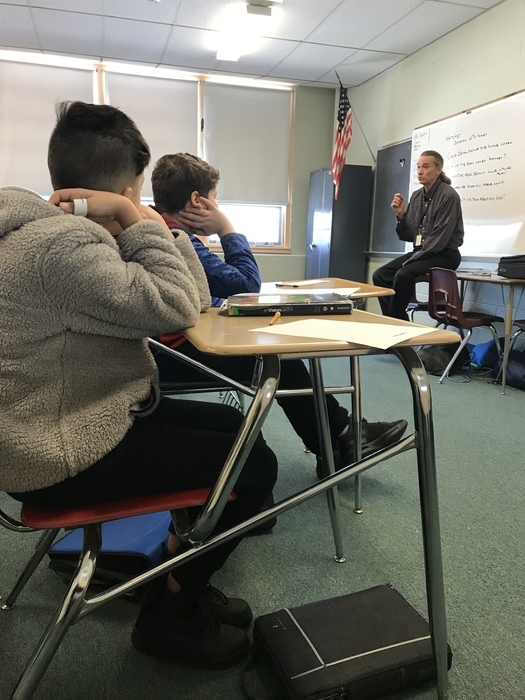 Please visit the Monmouth Middle School Info Page at https://tinyurl.com/MMSInfoPage for a letter with Internet Safety information for our families and other news. 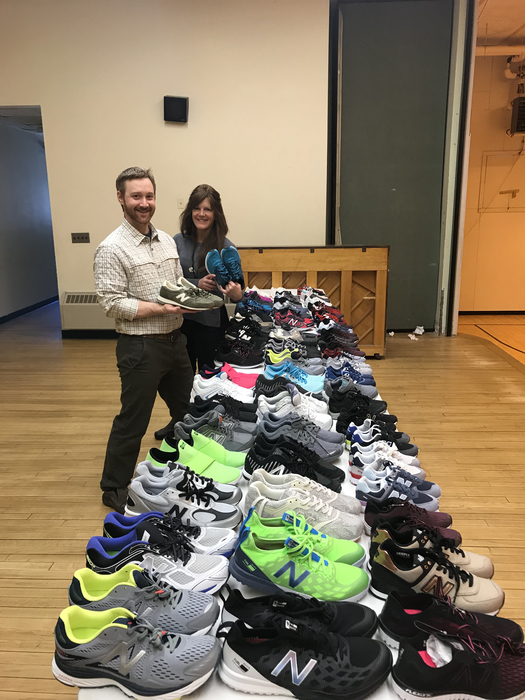 New Balance made a recent huge sneaker donation to our Monmouth students! This program is for any Monmouth student in need of a fresh pair of sneakers. These kicks are going fast. There are a few sizes that have been depleted. Contact Erin Fogg (efogg@kidsrsu.org) or Beth Luce (bluce@kidsrsu.org) if you have or know a child who would love a pair. It as easy as trying on and walking away! 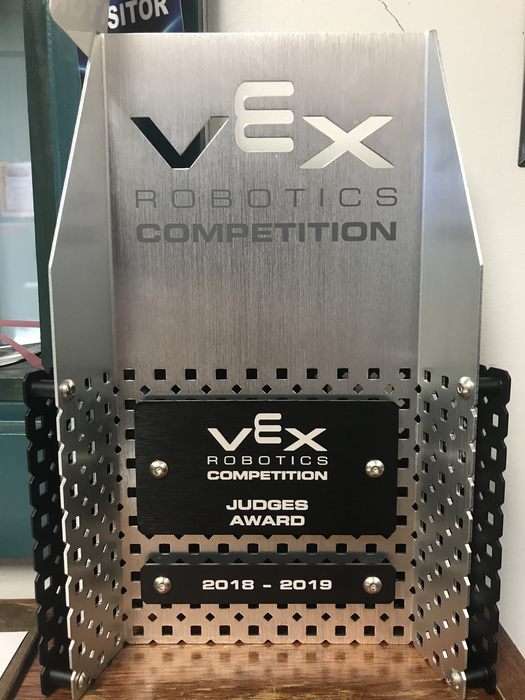 Congrats to Megan, Izzy, Zeke, and Lucas for receiving the Judge’s Award at their competition on Saturday. 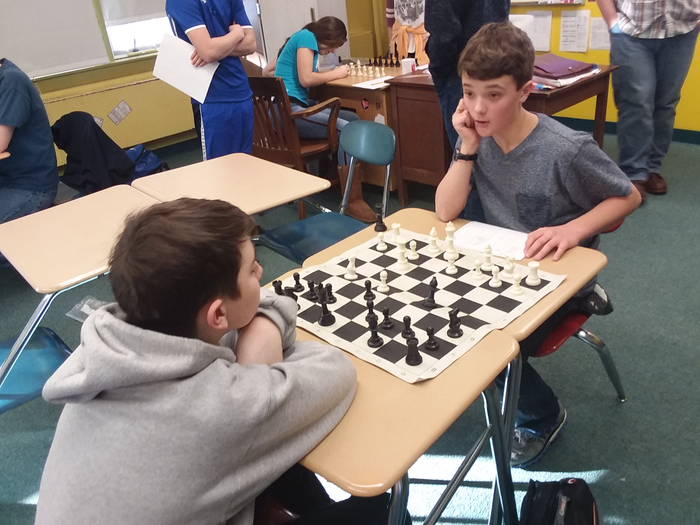 Sam and Ryder compete in Chess Club. Bryce and Devonte listen as Representative Kent Ackley visits Mr. Fletcher’s class. Do you have a Smartphone? For updates from the MMS website, download the RSU 2 app at https://itunes.apple.com/us/app/rsu2-maine/id1302328422. 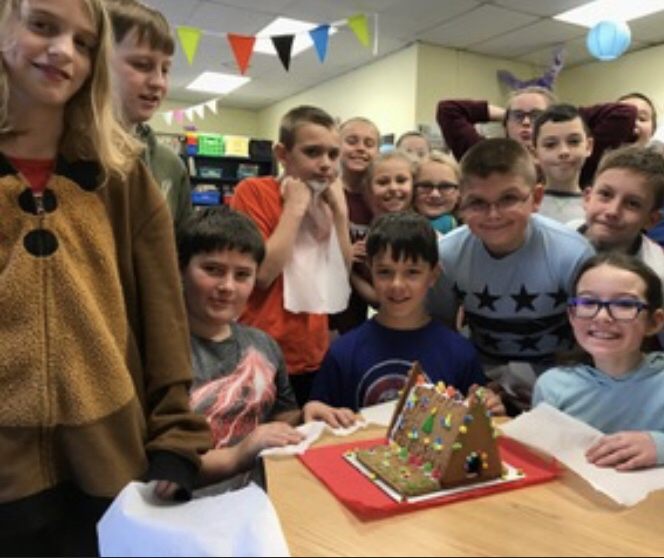 Mrs. Choate’s friends show their Gingerbread creation. 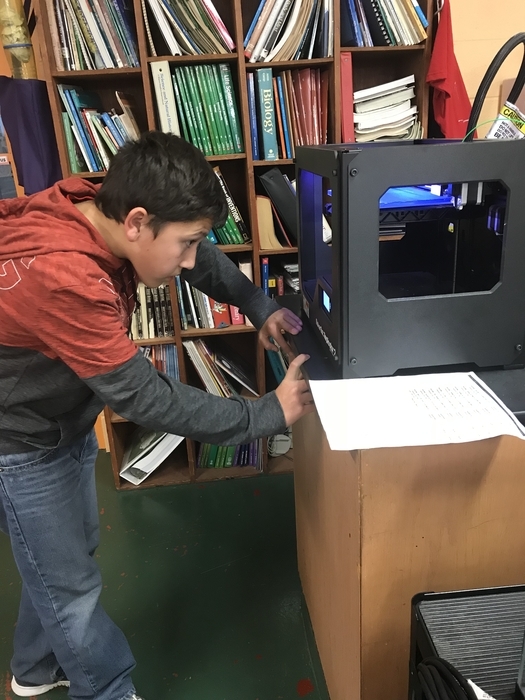 Trevor works on his 3D printing. Attention MMS parents! Are you coming in for a parent teacher conference this Wednesday or Thursday? 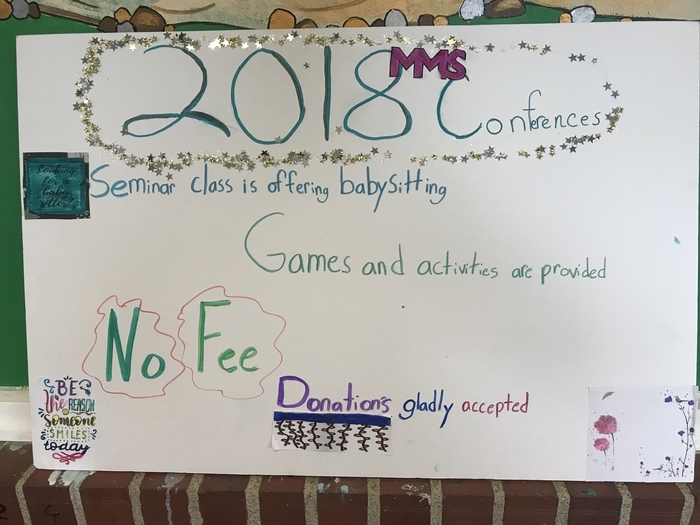 The MMS Business seminar students are offering babysitting for younger siblings while their parents attend conferences for their middle schoolers. Call us at 207-933-9002 if you’d like more details!